The Gospel Association of India ministers in India through evangelist crusades, Christian television, and the training of pastors and leaders. Plans are being made to launch a college ministry. Johnnie and Becky Bates have been on staff at Camp Of the Woods since 1999 with Johnnie becoming the new General Director in the spring of 2010. The Bates family has a heart for the people of northern Ontario and also enjoy working with the many volunteers who come to help throughout the year. The camp exists to faithfully evangelize, instruct, and disciple people in God's Word, train people in missions, and support and strengthen Bible believing churches. 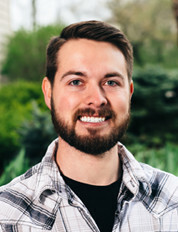 Alex serves as Campus Field Staff with CRU. His role is to train and equip student leaders to grow the ministry and reach the University of Minnesota Campus with the Gospel of Jesus Christ. Antioch North started as a mere idea focused on the desire for kids and volunteers to know more about God. The caring adults at Antioch continue to foster an environment for youth in the neighborhood to follow their passions and transform their communities. They have weekly programs that give youth ages 6-17 a place to grow and be encouraged in what they are doing. They plan to support them in their God-given gifts, provide a place for food and fun, and help them navigate life and school. Parents, neighbors, and caring adults help provide support. Global Link Partners is training and equipping the Church to reach the rural world with the Good News of Jesus Christ by reaching people for Christ, building them up in their faith and teaching them to do the same. We know and believe that through the blood of Yeshua, The Lamb of God, we have received Salvation, Eternal Live, Love and Value. As followers of Yeshua we are His disciples and we have been commanded to obey Him and be fruitful in our conduct and in passing on to others what we have received - Love, Value, Eternal Life - all to be found in the Messiah Yeshua. We are to INFLUENCE, in our generation, in the place He has called us to, utilizing the gifts He has given us - we are to influence His love and salvation to ALL people. This love and value for His creation does not originate from us, but from Him through us - wherever we are, al all times. Bobby and Danielle aim to minister to the believers and unbelievers in Austria with the gospel through planting gospel centered churches and training Austrians to fulfill the great commission. Kendra serves as an English Teacher and Club Leader in the Czech Republic. Her passion is to proclaim the gospel by sharing the love of Christ through teaching English in the Czech Republic as well as encouraging and equipping Czech believers throughout their growth in faith. 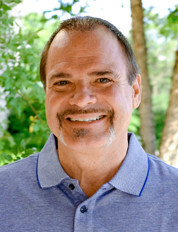 Dave is the International Field Director at Converge Worldwide. 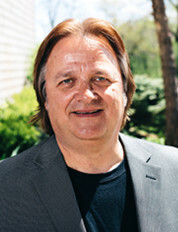 He oversees nearly 50 missionaries in Asia and also works with national leadership in various countries. 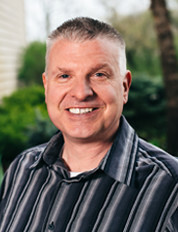 Dave is committed to developing communities of Jesus followers who regularly meet and fellowship in reproducing multiplying movements that holistically impact individuals, communities and regions through the power of the Gospel. Dirke and Lorna are trainers with the Impact Leadership Institute, part of Campus Crusade for Christ. They work with young Christian leaders on campuses in the U.S. and overseas to produce leaders who are spiritually focused, financially free, and morally fit to transform our world! Nate and Bethany will begin their work in Vienna, Austria by focusing on language and culture study. Once language study is formally complete, they hope to engage in ministry with the national church, focusing on church planting, discipleship and teaching. Because seeking God outside of the Catholic church is foreign to many Austrians, Nate and Bethany hope to create a church community that is engaging and relevant, allowing seekers to ask questions and dialogue about faith. The Johnsons also hope to connect with their local community through their shared interest in outdoor activities, including rock climbing, cycling, backpacking and hiking. Ministry of Reconciliation is a volunteer driven, Spirit led, equipping ministry. We are dedicated to helping men, women, and adolescents overcome unresolved issues that interfere with experiencing God’s love and peace, and healthy relationships with others. MOR provides private sessions rooted in Biblical truth where people find healing, true freedom, and victory in Christ. The Hands of Friendship thrift store is located in New Prague, MN. Items sold help raise funds which are used to provide for those in need and fund charitable causes in the local community and throughout the world. The Louisiana's have worked over 20 years in Haiti. They currently minister in the under served, north central town of Pignon. They work with Dr. Paul and his family doing traveling medical clinics in the rural churches and schools. The Manaens have relocated back to the US to work and minister among ethnic Nepali people who have settled in the metro area. They are serving alongside Himalayan Christian Fellowship, a local Nepali church, to support the young pastor and leaders and assist in discipling the young Nepali believers. Bijoy also travels to India to continue to train and encourage the leaders of Haamro Ghar and Promised Land Academy and the churches they planted and served there. Wilondja and Shirley have a vision of planting a cluster of churches, using a holistic approach to ministry, in at least two different Cameroonian towns where university students and a Converge medical clinic is located. They envision touching several of the ethnic groups from the central to northwest regions of Cameroon by giving them an opportunity to experience discipleship and evangelism by small group topical and systematic Bible studies that are relevant to their needs. They would then like to see a contextual evangelical church with missions in its DNA. Pray initially for God to raise up a church planting team to assist us. Worldview at the Abbey empowers students to live and think with a biblical worldview. It equips high school seniors and graduates to lead in a Christ-like way and boldly engage non-Christian worldviews. 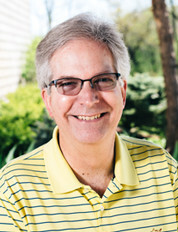 Joel and Jeanne work to plant new Hispanic churches in Minnesota and Iowa, support Hispanic ministries and ministers, connect Anglo congregations with Hispanic ministries locally and globally, oversee Baptist Conference Hispanic Ministries. Sara - Sign up for email updates. Sara is a missions researcher, with her current focus being on young, unchurched, urban young people in the nation in which she serves. She consults with locals and with a number of mission organizations working in the country, in particular with those who are seeking to start new churches in Muslim regions and in the nation's largest cities. 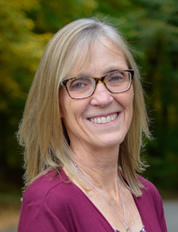 Along with her coworkers, she publishes a semiannual newsletter on church planting and works with others who are involved in church planting and innovative approaches to reaching young adults. In 2010, we spent an entire year in Honduras as part of World Gospel Missions Missionary Volunteer Partners program. We served at Escuela El Sembrador, a boarding school for impoverished youth. Despite its challenges, our year at El Sembrador was without question the most fulfilling time in each of our lives. Our relationships with the students enabled us to see His grace in our own lives. We left Honduras a spiritually healed family, completely committed to following God’s call. We have been so blessed by the children and youth of Honduras. Our prayer is that God will use our family to speak truth into the lives we touch. Our vision is to raise Godly young leaders who will live transformed lives and influence the communities and world around them for Christ. We focus on education, discipleship and providing opportunities for physical, spiritual and emotional healing and growth. Jami Strandberg ministers in Guanajuato, Mexico. God has blessed Jami with people skills and gifts in evangelism that are a tremendous asset to the team in Mexico. Jami's heart is to see the reign of Christ extended from life to life and place to place all over the world. The team shares one common mission: multiplying transformational leaders and churches. Greg first came to the Czech Republic with JV in the summer of 1998. While there, God captured his heart for Czech youth. After seven summers of leading high school teams and interning with the English camp ministry, he moved to Czech to work with Josiah Venture full-time. For six years, Greg led Summer English camps, taught in the internship program for Czech youth group leaders, served as the youth pastor of his local church in Tábor, and discipled young men. Kori first came to Czech on a short-term mission team in the summer of 2011. On June 3, 2012 in Fairbanks, Alaska Greg and Kori were married. After spending a year in the U.S. raising support and preparing for the mission field, Greg and Kori moved to the city of Havírov, Czech Republic where they work with their local church. Their daughter Elizabeth was born in July 2014. Bob and Carole founded ConnecTeams Haiti, A Non-Profit Christian Humanitarian Organization. They provide opportunities for teams to reach out to the people of Haiti while working alongside full-time missionaries. Through construction, medical teams, Vacation Bible School, and time serving in orphanages, bonds are made so the Gospel of Jesus Christ can be presented. Kyle and Matilda are working towards establishing a multi-ethnic, intercultural, and economically diverse English-language church that plants the Gospel among the 340,000 plus international 'Global Citizens' in Munchen, Germany. Dan and Sandy serve at Faith Academy. Faith Academy has become one of the schools with the largest number of missionary children in the world. By serving the missionary community, the school has played an important part in the spreading of the Gospel of Jesus Christ in Asia. Dan serves in the Facilities Department overseeing the transportation needs of the students and the care of the grounds. Sandy serves as the Head Nurse in the Health Office. The Whalen's mission is to share the gospel of Jesus Christ with children and their families and to nurture them in their Christian growth. Their primary focus group is the city of Minneapolis but they also reach out to mobile home courts in the outlying Twin Cities. In early 2013 Eric and Julianne began working with Africa Inland Mission. They are currently in Ndjamena, Chad. Their mission is to be witnesses to the powerful love and grace of Jesus Christ, and to help and encourage the believers here to grow, and reach out to their countrymen with the same powerful love that God reached Eric and Juli with.